As an independent writer, I’m always looking for something to make my hectic life a little easier. It isn’t easy to learn the many different aspects of writing and publishing, and anything which saves time and energy is much appreciated. One of the best improvements to my own way of working has been making the switch to using Scrivener. It’s a powerful word processor and writing project management application. It’s saved me a lot of time and effort and I’d love to share exactly how it’s helped me. Most writing projects require a ton of notes, sources and references. This applies equally to fiction and non-fiction projects. To make a non-fiction book credible and useful, the author must draw upon a wide variety of sources, in order to provide the maximum amount of value to their reader. Good fiction makes use of character notes and background information to create a credible world for the reader to enjoy. Scrivener makes it easy to keep all of your research within the software itself. You never need to exit and hunt around your computer or online cloud storage to find a note or detail. It’s all right there for when you need it. If you’ve ever had the problem of trying to refer back to lots of different documents or web pages, you’ll know that it gets messy and inefficient pretty quickly. Precious writing time is lost to the process of finding and using research, rather than making progress towards a finished project. If your research and writing process is giving you a headache, Scrivener might just be your aspirin. One of the toughest challenges as an indie author is to stay motivated. Not only that, but to translate that motivation into real, tangible progress which brings you closer to the completion of a project. Has there ever been a worse time for focus and avoiding procrastination? We are constantly surrounded by the temptation of smartphones and social networks, vying for our attention with notifications. This frantic environment can really kill your writing progress. There’s nothing worse than starting to slip into the flow of creation before being pulled out of it by an email, friend request or other distraction. Scrivener is one of the best ways to encourage focus and motivation I’ve ever encountered. By keeping absolutely everything within the Scrivener software, you never need to run the risk of going online to check something, only to be pulled into a black hole of distraction. All of your research is right in front of you, and when it’s time to get down to business, you can enter the full screen mode to block out all distractions and get down to the task at hand. You can also easily use Scrivener to set project targets and monitor your progress towards them. This works well for an individual writing session, as well as for taking a big-picture view of the overall project. If you’ve ever had the sweet satisfaction of finishing a project quickly turn to frustration as you struggle to export your writing in the correct format, Scrivener is here to help. With Scrivener, you can export your work to the format you need, without having to leave the software. This saves on having to invest in a specialist formatting software or service. It’s nice to know that the way your writing looks on screen is the way it will look in the exported document. One of the cool things about Scrivener is it can export into the different eBook formats you require, as well as to more commonly used files such as HTML. This makes Scrivener equally appropriate for writing an eBook or a blog post. People are resistant to change, and it can be tempting to stay in our comfort zone and stick with whatever is familiar to use. When it comes to writing software, this is totally understandable. If something is working well enough, it’s easier to stick with it rather than learn something more powerful but new. In the case of Scrivener, I truly feel the time and effort required to switch are justified. If you want to check it out further, there are some Scrivener coupons available which might make the decision a little easier. Overall, I know how much of a positive difference Scrivener has made to my writing, and I hope you experience the same benefit yourself. Dave Chesson runs Kindlepreneur.com where he shares the latest and greatest in advanced book marketing information. 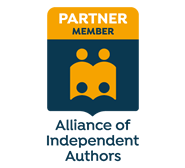 He loves connecting with authors and helping self-publishers overcome their pain points and frustrations.